Hello and welcome to exampundit. 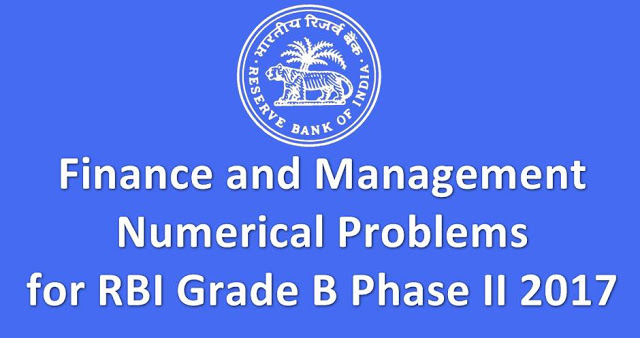 Here is a set of Finance and Management Numerical Problems for RBI Grade B Phase II 2017 provided by Oliveboard. yield of 10%. The number of days to maturity is 91. What is the price? 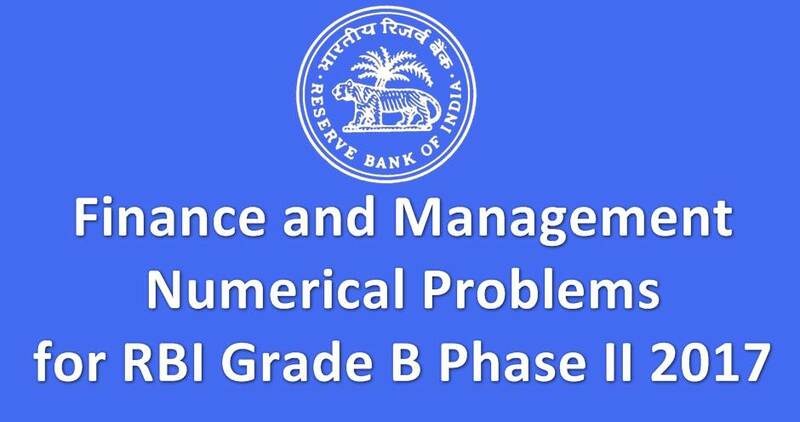 to provide a dividend of Rs. 2.00 and fetch a price of Rs. 18 after one year. excluding depreciation, is expected to be 50% of revenues. The tax rate is 40%. Estimate the after-tax return on capital, on average, for the project. expected return on equity after the announcement of the stock? but the square root of the variance. the probabilities of their occurrence. In the absence of taxes, the value of the firm will remain 157.5, because the additional interest tax is zero. Note: This entire quiz is provided by Oliveboard.